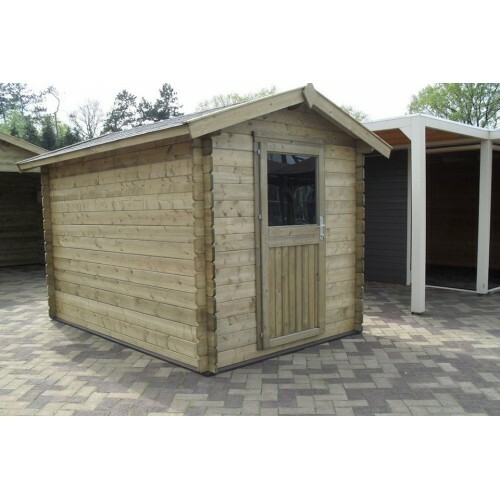 Our cabins are produced from high-quality scandinavian pine. 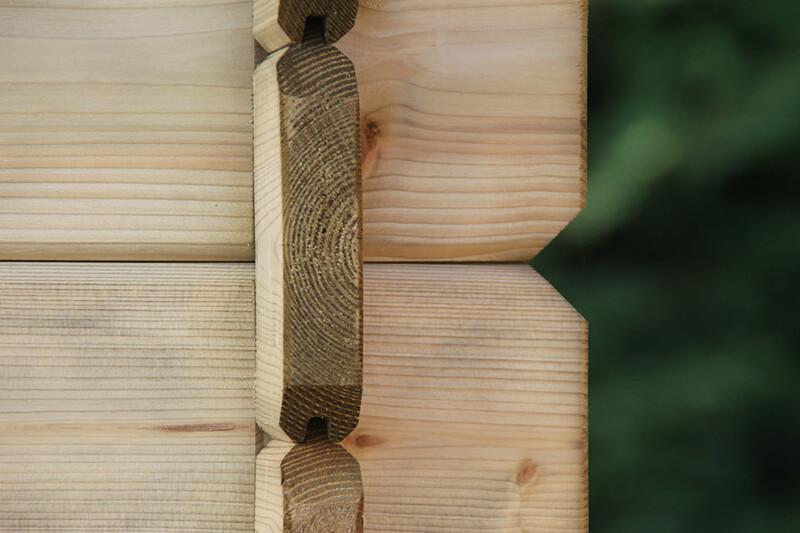 The Northern European wood is characterised by an enormous strength owing to the growth of the rings in the wood, which are close together allowing for a harder code and ultimately a more durable robust wood. 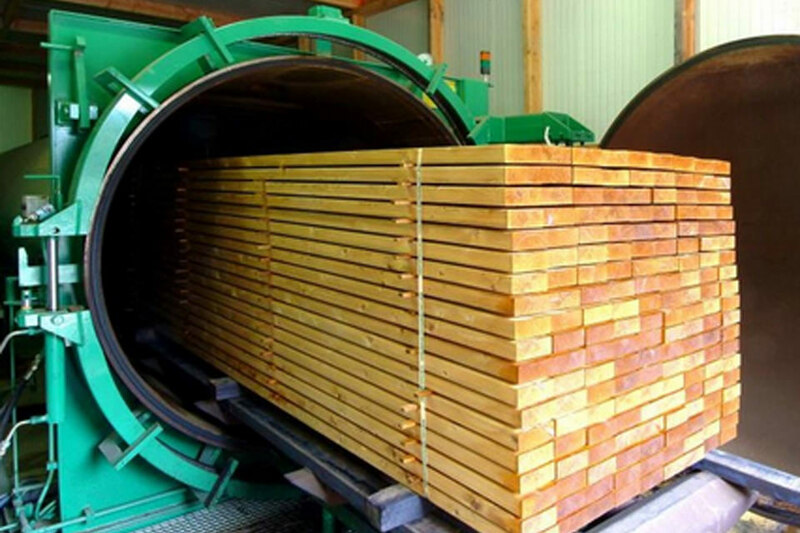 in addition the spruce we use for our log cabins is carefully screened for quality assurance. 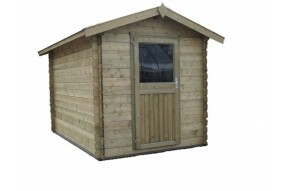 As a result we can guarantee you a cabin where you can enjoy for many years. 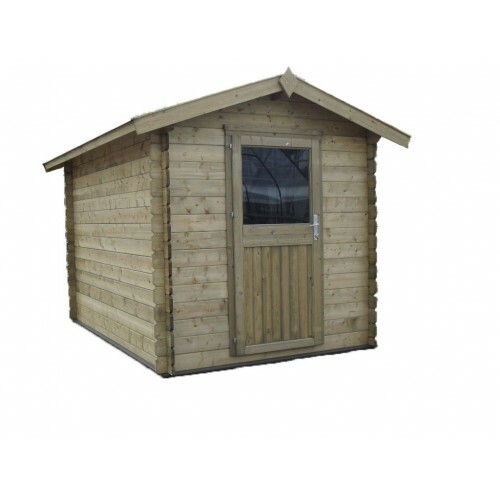 This cabin comes with high quality locks and hinges, which provides an ideal storage place for valuables. 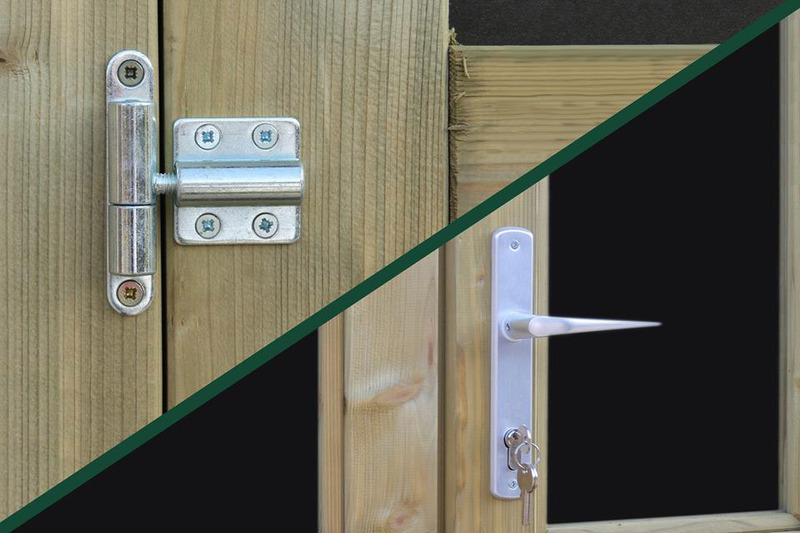 With a solid lock on the door the safety of your belongings is guaranteed at all times. 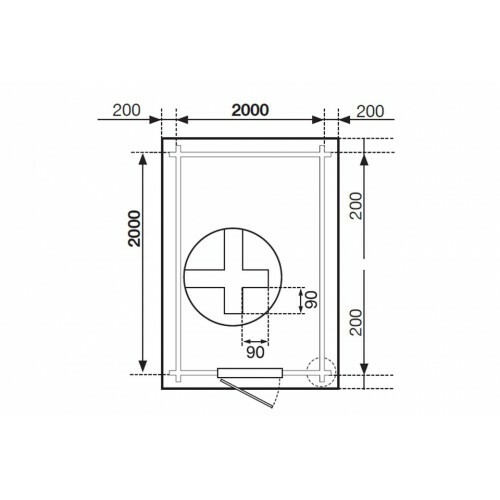 These hinges are adjustable to provide a smooth opening action on the doors. 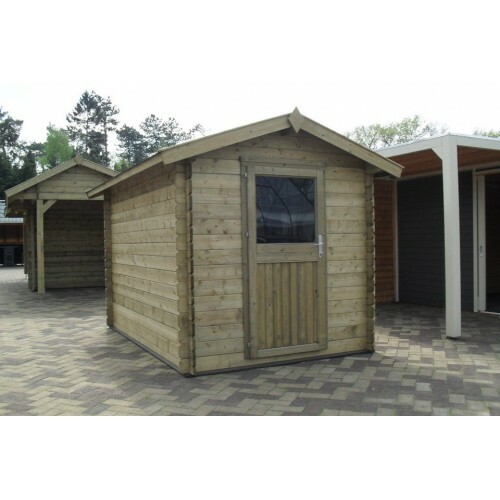 Log cabins are often impregnated with a quick immersion bath in which the wood surface only get a thin layer of protection. ODL chooses to preserve Monica log cabin up. We take the wood from your cabin first vacuum in a pressure cooker, before we press the impregnating deep into the grain of the wood. 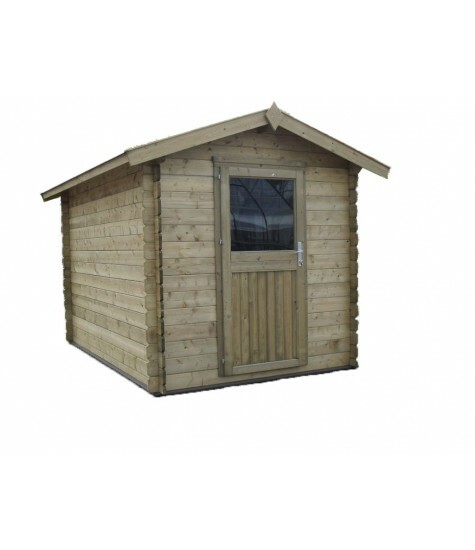 Through this process the high-quality wood do get optimum protection to keep you much longer to enjoy your cabin. In addition, your cabin gets a nice rustic feel.